Tempting aromatics reveal dark ripe fruit, subtle baking spices and vanillin oak. Delicious dark cherry flavors caress the palate as a creamy blend of coffee and dark chocolate appears along with mixed dark berries and a hint of cranberry. A spicy texture is buoyed by integrating tannins, while gentle oak quietly offers support to the opulent flavors. Delicious now, but consider cellaring a few bottles to enjoy as this wine continues to evolve with bottle aging. 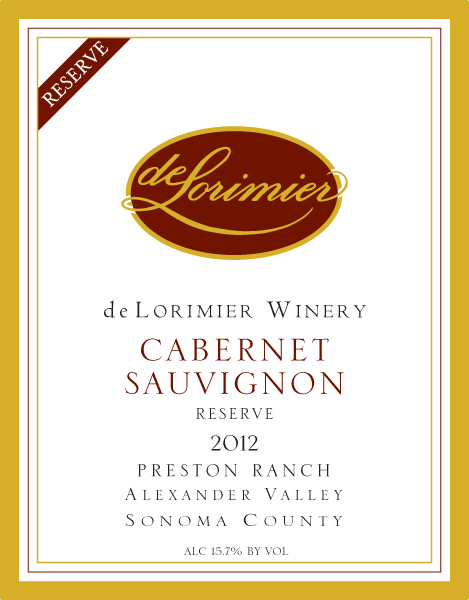 This elegant Cabernet will pair well with classics like pheasant under glass or osso buco, or a more modern entrée like apple wood smoked dry rubbed pork ribs with garlic and herb smashed potatoes.